Most people are aware that there are distinct personality traits needed for the financial world. However, having a good head for figures or an analytical mind are not the only recognisable traits in this job sector. Personality covers a wide range of factors, and when it comes to work employers will be looking for a personality that will fit within their company. Personality traits are extremely important in relationship to the work you choose, although many people never actually consider this. Having the right personality does not just mean that you have a bubbly personality and will fit well within a team. It also means you have the personality and psychology that will fit in with the whole ethos of a company. It means that you and your chosen company are on the same wavelength when it comes to company thinking and future goals. Employers are waking up to the importance of the right personality fit for jobs, and a great number have now introduced personality tests at interviews. 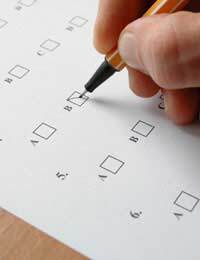 There are companies that provide personality tests using proven psychometric tests to evaluate an employee or interview candidate’s personality. The Myers-Briggs psychometric testing system has been used by many companies around the world to identify psychological types in relation to the work place. The Myers-Briggs indicator is a set of questions that will determine a person’s psychological type. There are no right and wrong answers to these questions but the outcome may determine the dominant personality type and lesser personality traits. The Myers-Briggs indicator can asses whether a person is more introverted or extroverted and to what degree. Whether or not they are a sensing person or a feeling person, and there will usually be a mixture of personality types within each person. According to psychometric testers there are distinct personality types that are the right fit for a job in finances. The top personality types are introverted, sensing, feeling, and judging. They tend to be cautious, gentle and thoughtful, although they seem to be easily offended. Other traits include well organised, diligent and very stable. They enjoy a predictable life and the ability to help others in and out of the workplace. If all of these personality traits sound familiar then you may just be the right fit for a career in the finance world. Some people do greet these tests with caution as they can be manipulated to provide a certain outcome. It is also thought that once a person has worked in a certain work environment for a length of time they should retake the test to see if the outcome has changed. On the whole they do work as good measuring stick of a person’s personality and they may be able to help when finding the right person for the job. However, they should be taken as a small part of the overall interview process and not used as a deciding factor. There is a whole list of personality traits that can be applied to the finance world. The finance job you choose may be dependant on your personality. For instance you may be a very sociable person and want to work within a large company with plenty of colleague and client interaction. On the other hand you may prefer isolation when you work and apply for finance jobs within a smaller office environment. Talking these issues through with a career advisor or during an actual job interview should help you make the right job decision. Personality tests such as the Myers-Briggs Type Indicator have been used for many years within the financial world. These tests can be taken online if you are interested in finding out your personality type. In some cases job candidates can boost their interview chances by sending potential employers the results of the test along with a CV. It may not win the actual interview but it could give a head start over candidates that have not taken the time to use this business tool.